Originally from Bradshaw, Nebraska, Darrin Brumbaugh is a proud product of Nebraska’s heartland. Upon graduation from Wayne State College with a B.S. in Mathematics and Education Darrin brought his talents to York Public Schools as a Math Teacher, Coach, & FCA Leader in the 1996 and 1997/1998 school year. It was through this experience that Darrin discovered his passion for helping others achieve their dreams and protect what they hold most dear. In 1998 Darrin began his career as an Advisor with Northwestern Mutual and has moved-forward full-steam-ahead ever since. 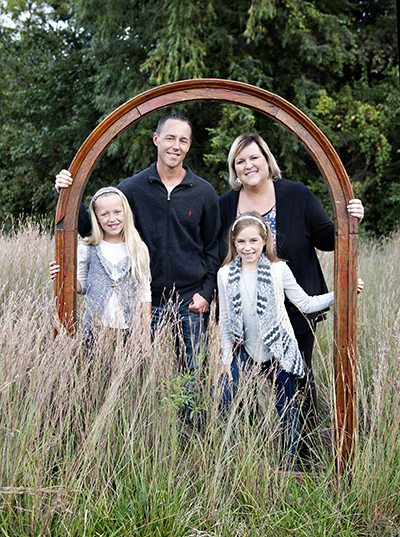 Darrin and Terri, his wife of nearly 20 years, reside near Marquette with their two highly active daughters, Isabelle and Ava. They are proud to call Central Nebraska their home and continue to be active in their community, church, and local school system. In addition to cheering on his girls at statewide gymnastics competitions, Brumbaugh enjoys freshwater fishing, upland game hunting, water sports, and exercise. His latest exciting haul came when he reeled in a 101” Stiped Marlin in the waters of Cabo San Lucas, Mexico.